I recently started using my blender a lot. I make smoothies for breakfast. My old blender wasn't really up to the task, and the seal at the bottom recently started leaking. 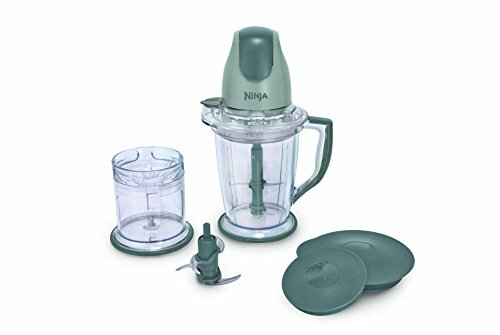 Not looking forward to having to keep wiping down my counter every time I used it, I started looking for a new blender. There are a couple problems I've had with every blender I've used in the past. The first problem is that they're hard to clean. Either you have to unscrew the base to clean the blades, or you have to jam your hand and a sponge into the blades repeatedly while the base is still attached. The first method is annoying, and the second is painful. You can always try to clean the blender by adding soap and water and running it right after you finish using it, but that doesn't really clean the blender very well. The second big problem I've had with blenders is that things like bananas tend to get wedged in the conical bottoms of the blender just above the blade. You can fix this by adding the banana a little bit at a time and pulsing after each piece, adding water, or pushing the banana down with a spoon. I'm lazy. I just want the banana to blend. Extra steps, or having to do things differently than the way I want to do them makes me hate my blender. Enter the Ninja Master Prep. It's cheap (about $30), it's easy to clean because the blades come out very easily, and the nearly-vertical sides mean nothing gets wedged when you try to stuff too much stuff in it. It's a dream. Do you have a favorite thing to make in your blender? Let me know in the comments. I'll share my favorite blender recipe soon!